For the past few weeks, Joe and I have been making our rounds to the local breweries to taste their beers and talk about them. In the episode below we stop by Intuition Ale Works and taste four of their brews; Silvertown, Honey Badger, Shotgun Shack and King Street Stout. Rogue, as are many breweries, was founded by a group of home brewers bent on sharing their beer and philosophy of life with as many people as would listen. To that end, the company was founded by Jack Joyce and Bob Woodell, University of Oregon fraternity brothers, along with another friend, Rob Strasser, Jeff Schultz an avid home brewer. Construction began in June of 1988 in Ashland, Ore. along a very scenic little stream called Lithia Creek. The fledgling brewery was set up in a basement with a 60-seat Pub above. They began with a 10 barrel brewing system and, when the brew pub opened in October 1988, produced only two beers; Amber and Gold. 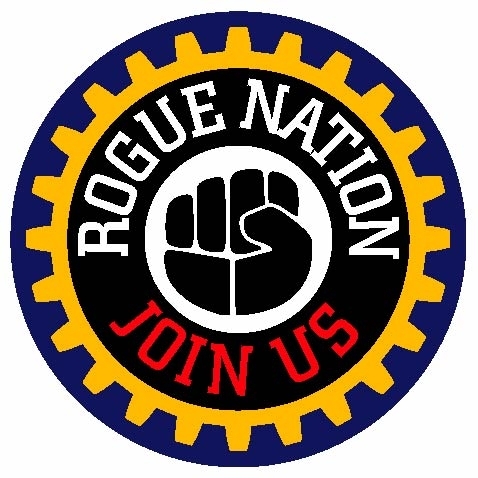 Looking to spread the Rogue love and increase the profitability of the brewery, Joyce soon set out to find another, perhaps better situated, location to produce beer. In early February of 1989, Jack set out in search of the perfect place for another Rogue Pub. As the result of an unusual snow storm, Joyce found himself stranded on the Historic Bay Front of Newport, Ore. There he met up with Mohave Niemi, founder of the famous Mo’s Clam Chowder restaurant. She took him to the original Mo’s, gave him a bowl of hot clam chowder and told him about her dream of living above a Bar. She also told him that she might just have the perfect spot for the next Rogue Brew Pub. Her building, the Front & Case Building, had 1,100 square feet of empty store front and an 800 square foot garage. Mo offered the vacant space and the garage to Joyce at a very generous price, under two stipulations: that a picture of Mo herself, naked in a bath tub, be forever displayed at the Pub and that Rogue “feed the fisherman”, meaning that we give back to the local community. Soon after that, construction began on the Bay Front Brew Pub. By May of 1989, construction was complete and Rogue’s second brew pub opened. The company now operates locations in California, Oregon and Washington and distributes its beers both nationally and internationally. They have also expanded into spirits and manufacture a line of distilled beverages including whisky, rum, vodka and gin. Total Wine & Spirits in the St. John’s Town Center in Jacksonville, Fla. is hosting a Rogue tasting on Thursday, February 13 at 6:00 p.m. Tickets for the event are $15 dollars and are available at the store. Ticket sales will be capped at 24 attendees. For more information, contact Total Wine & Spirits (904) 998-1740. Tasting Notes: Deep amber copper color. Buttery peanut brittle, orange blossom tea aromas follow through to a rich chewy and fruity full body with nice notes of caramel drizzled dried apricot and roasted grains and spice. Finishes with a long, tangy grilled grapefruit and chocolate fade. Tasting Notes: An Irish style lager with a smooth mellow flavor and an apple crisp finish. Perfect for floating Guinness! Tasting Notes: Ebony in color with a rich creamy head, earthy flavor and a mellow, chocolate finish. Tasting Notes: Ebony in color with a rich creamy head. The mellow flavor of oats, chocolate malts and real chocolate are balanced perfectly with the right amount of hops for a bitter-sweet finish. Tasting Notes: Roasted chipotle peppers produce an eye opening chile flavor in this deep golden ale with a malty, smoky aroma and smooth, crisp flavor. Tasting Notes: No notes from brewery. This beer was made from yeast found in the beard of the brewery staff. Tasting Notes: Single Malt Ale has a malty aroma and is deep golden in color with a dense creamy head. It is medium bodied with a lush rich maltiness from the Dare™ malt. Tasting Notes: Tawny in color, with a coffee aroma, tight head and a delicate roasted malt accent. Generous use of hops and a smooth finish. Tasting Notes: Deep red in color, this ale starts off with a floral, slightly citrus hop nose, hop flavor soon fades into the malty backbone of this red ale. Tasting Notes: A big beer with a spicey fruity aroma, chewy mid palate of figs and spice and a long lingering finish. Deep burgundy in color with tremendous drinkability. Tasting Notes: In the style of a German Maibock, using our proprietary Pacman ale yeast. Deep honey in color with a malty aroma and a rich hearty flavor. Tasting Notes: The delicate flavor of our roasted Soba brings a nutty finish to this light and refreshing ale. A perfect accompaniment to lighter cuisine. Tasting Notes: No tasting notes from brewery. Tasting Notes: An Imperial bitter with exotic traditional floor malts, citrusy, hoppy flavor, stupendous hop aroma. Tasting Notes: Mom Hefeweizen is a refreshing, Belgian style blonde ale, infused with Rose Petals from Eugene, Oregon. Tasting Notes: A nutty twist to a traditional European Brown Ale. Dark brown in color with a hazelnut aroma, a rich nutty flavor and a smooth malty finish. Tasting Notes: Ruddy brown in color, a bittersweet balance of malt and hops with a light cream finish. Tasting Notes: Born in a basement in Ashland, Oregon, Integrity Ale is Rogue’s original Golden Ale from 1988. Now John Maier brews it with ingredients from Rogue Farms in Independence and Tygh Valley, and the serigraphed silver bottle is dedicated to 25 years. While not strictly considered a beer, mead does loosely fall into the same category. 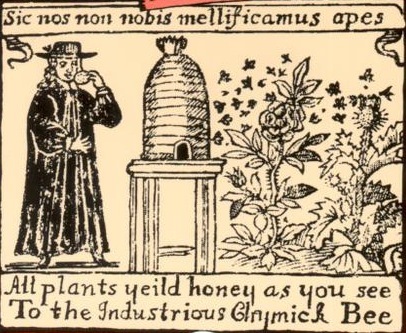 Whereas beer uses mainly malted grains for its fermentable sugars, mead uses primarily honey. Often meads are made with fruits, grains and even hops to impart unique aromas and flavors. It is often a potent drink with alcohol levels ranging from 8% ABV to over 20%. The exact origin of mead is lost to the veils of time, but many archeologists believe that, like the best discoveries, it was a sort of happy coincidence. Thousands of years ago, man lived a nomadic existence in Africa. He stayed in a particular place only as long as the food held out. As he wandered the plains of Africa, one nomad found himself in need of something to sate his thirst. A common feature of the African plains is the baobab tree. These massive trees have trunks that are as big around as tanker trucks and its lower limbs were often used by elephants to scratch hard-to-reach itches on their backs. Occasionally, a limb would break off during these scratching sessions causing a hollow in the trunk of the tree. During the dry seasons, the hollows in the tree trunks made an excellent location for bees to build their hives and make honey. But, during the wet seasons, those same hollows would fill with water swamping the hives and mixing the honey with water. Windborne yeast would infiltrate the honey-water mixture and fermentation would begin. The nomads, knowing that the hollows in the baobabs often contained water, sought out the trees for the water contained in the hollows. One day one nomad came across a hollow that had held a bee hive and tasted the water collected inside. It was sweet, cool and delicious. After drinking his fill he began to feel a strange euphoria and attributed it to the syrupy liquid. He drank more and, finding himself unable to walk far, decided to lay down for a nap. Unbeknownst to him, he had just discovered one of the world’s first alcoholic drinks and was about to discover the bane of all drinkers, the hangover. As history progressed, so did the making of mead. Archeologists have discovered evidence that the drink was produced by man as early as 2,000 years before the Christian era by the Chinese. But, they have also uncovered proof that Europeans fermented mead around the same time. Descriptions of mead can be found in the sacred books of Hinduism as well as the teachings of Aristotle. During the Golden Age of Ancient Greece, mead was said to be the drink of choice by both aristocracy and commoners alike. Today mead is a much more sophisticated drink than it was in history and is brewed with as much care and craftsmanship as craft beers. It is produced in a meadery and, depending on the way it is made, can be classified one of several different ways. Like wine, mead can be dry, semi-sweet or sweet. Mead that is made with spices such as cloves, cinnamon or nutmeg or herbs such as meadowsweet, hops, or even lavender or chamomile, is called a metheglin. While mead that contains fruit such as raspberry, blackberry or strawberry is called a melomel. A mead that is fermented with grape juice is called a pyment. These are just a few of the many types of mead available that are brewed using a variety of methods and adjuncts. Redstone Meadery’s Black Raspberry Nectar made with black raspberries, Sunshine Nectar with apricots and Nectar of the Hops an intriguing blend of hoppiness and honey. B. Nektar Meadery’s Necromango made with mango juice, honey and black pepper, Black Fang sparkling session mead made with honey, blackberry, clove and orange zest and Zombie Killer an apple cider mead with Michigan honey and cherry juice. Twisted Pine Brewery’s West Bound Braggot brewed with a light grain bill, orange blossom honey, pungent Citra hops, Tasmanian pepper berries, and Buddha’s Hand, a fragrant citrus fruit, and then fermented this unique ale with Belgian saison yeast. Crafted Artisan Meadery’s Pollinator that is dry-hopped with Cascade hops and spiced with blackberry hydromel. Tickets for the event are available at Dahlia’s Pour House and are $35 in advance of $40 at the door. If you are looking for a unique Valentine’s Day gift for your sweetheart, you can purchase a couples’ tickets before February 14th for $60. For more information contact Dahlia’s Pour House at 2695 Post St, Jacksonville, FL 32204. Grand Tasting 12:00 noon to 5:00 p.m. The culmination of Jax Beer Week is the Grand Tasting that will take place downtown in conjunction with Community First Saturday in front of the Times-Union Center on the Northbank Riverwalk. The tasting will feature over 30 beers including many from Florida. Also enjoy the Food Truck Skyway Crawl and live music. DJ E. Lee 11:15 a.m. to 12:30 p.m., between sets, and 3:30 p.m to 4:30 p.m. The gang at Dahlia’s will be offering thirsty Jax Beer Week revelers $4 IPAs. Bold City Brewing Co. 7:00 p.m to 11:00 p.m.
Blackfinn American Grille 4:00 p.m. to 7:00 p.m.
Intuition Ale Works will stop by the Finn to pour one of thier classic brews: Intuition Jon Boat Coastal Ale. Grassroots Natural Market 3:00 p.m. to 6:00 p.m.
Grassroots will host a Jacksonville Beer Tasting featuring Ben Davis owner and brewer at Intuition Ale Works who will bring a special cask brew. Also at the tasting will be a cask brew from Green Room Brewing in Jacksonville Beach. Head over to one of the city’s best pizza joints for a Jax Beer Week evnt that will feature the brews of Cigar City Brewing Co., Swamp Head Brewing Co., and Highland Brewing Co. You can expect lots of great food and even more great beer! You can also expect the first tapping in Florida of Highland’s new seasonal, Lil’ Hump. Be sure to stop by and be one of the first to taste this exceptional new brew. Brewer’s Pizza: 5:00 p.m. to 9:00 p.m.
Brewer’s Pizza in Orange Park, has been quietly churning out exceptional beers through its in-house brewery, Pinglehead Brewing Co. But, for the second night of Jax Beer Week Brewer’s will host Florida Beer night with special guest Carolyn Graham from Brown Distribution. Brewer’s will be featuring taps from all of their favorite local breweries and others from all over Florida. You can also find beer specials at these and many other bars around the area. 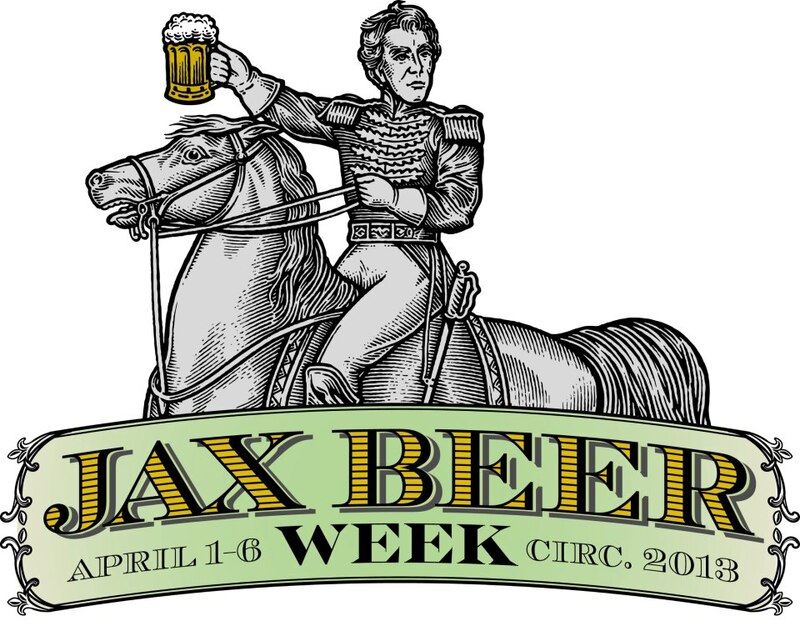 Look for the official Jax Beer Week posters.